Semichem launches new range after customer research with Mums. "We’re looking forward to offering excellent savings on baby and toddler products for Mums and Dads." Semichem has launched a new baby and toddler product range across its health and beauty stores in Scotland, the North of England and Northern Ireland. Semichem will now stock an extensive range of baby food, baby milk, nappies, wipes, bath products and toiletries from well known brands in a dedicated space in-store. The retailer is also launching a new Tiny Tots VIP club for parents, which will give members exclusive access to special offers, free products, competitions and the latest news and advice. The loyalty scheme is free to join online at the Semichem website. The introduction of Semichem’s new baby range is in response to customer research with mothers of children aged two and under. The research, conducted by Why Research for Semichem, found that mothers would welcome a larger range of baby and toddler products in-store and would consider Semichem as a destination to buy these items. All of the mothers involved in the research project gave positive feedback on the design and layout of the new range and the variety of products available. To promote the new range, Semichem is launching an integrated marketing campaign across print and online channels, including a social media competition to find a new baby blogger. 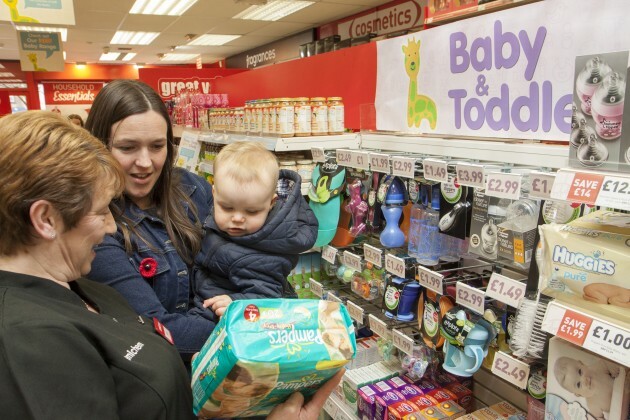 In-store, the baby range will be advertised to customers with coupons, special offers and new point of sale. Semichem’s new baby and toddler range will include market leading brands such as Pampers, Huggies, Johnson & Johnson, Aptamil, Cow &Gate, Ella’s Kitchen and Tommy Tippee.